3D Printers have been on the market now since 2010 and the use of the FDM or FFF style 3D printers that use filaments made from a wide variety of materials are the most commonly used in schools, libraries, small R&D labs, business and homes. Some of the materials that are used in the printing process such as ABS and Carbon Fiber produce significant odors and in a small room this can be very noticeable and unpleasant. In addition, small, sub-micron particles are released into the air during the printing phase. These particulate are too small to see with the naked eye but can become an irritant to those individuals who have allergies or have some form of respiratory dysfunction. In order to remedy this issue, should it present itself as a problem, one option is to enclose the 3D Printer to contain the odors and particulate and the second is to connect a filtration system to the enclosure to effectively remove the odors and remove the airborne particulate. 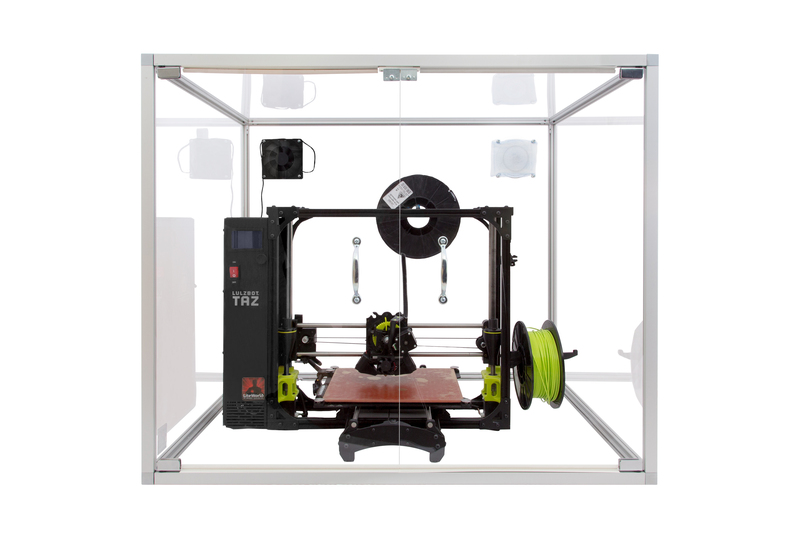 LiteWorld LLC makes a large plexiglass enclosure with aluminum frame and large access doors that will fit over the larger open 3D printers such as the LulzBot TAZ 3D Printers. These enclosures can be purchased directly from LiteWorld by going to their website at: http://www.liteworldllc.com or contacting them by phone at: 941-999-8200. Pure Air Systems makes the HEPA and Carbon based air filtration systems that can connect to one or multiple enclosures to both remove the odors using the Carbon filters that are included in the systems and remove the particulate by using the commercial grade HEPA filters. These high end systems, coupled with the LiteWorld enclosures will provide an almost clean room environment for your 3D Printer operation. For more information on the complete line of Carbon and HEPA based air filtration systems please go to our website at: http://www.pureairsystems.com or call us on our toll-free number at: 800-869-8025. Taken from a poem by Henry Wadsworth Longfellow, the term two ships passing in the night references two people that meet for a brief but intense moment then go their separate ways never to see each other again. This may be familiar to many people that have experienced a brief meeting or opportunity to interact with someone for a short time where something significant happened but then never to see that individual again. But the memory lingers on. You are looking for something specific on Google using every key word you can think of that should get you to that site or page or photo that will connect you to your goal. Through a series of websites and re-directs you actually find what you are looking for. Forgetting to bookmark the page after you’ve retrieved some of the information, you tell yourself you can find it again. You attempt to locate it again only to find out you can’t get back to it. When trying to locate information on a particular company or product a great source of information often comes from a more active website, especially one that produces a weekly blog or update. Since this information is pushed throughout the internet world in a number of forms, even using an indirect search can often result in success. 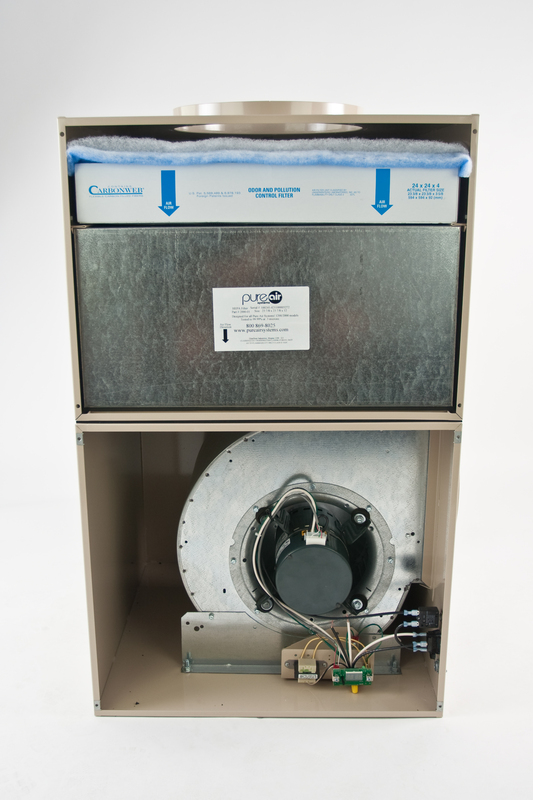 Pure Air Systems has been manufacturing commercial grade, certified HEPA based air filtration systems since 1985. Their first website was developed in the early 1990’s and they have made it bigger and better ever since. Searching for HEPA filtration systems or directly for Pure Air Systems will take you to the very first page on every search engine. However, in today’s world, the search engines no longer keep sites up in a certain position unless they are active and producing value added content material on a regular basis. This is why new blogs, like this one, are written for the site every week. Using Google analytics to track activity for Pure Air Systems shows a high number of visitors each month ( in excess of 2,000) with a fairly high number of new visitors. In addition, the average amount of time each visitor spent on the site is in excess of 2:00 minutes. The bounce rate is relatively low ( 40%) so this tells us a number of people are finding what they are looking for and some are coming back for more information. The PAS site has a section called “Pure Air University” that consists of a number of individual sections dedicated to providing educational information on everything you wanted to know about air filtration, filter systems, heat exchangers, positive and negative pressure and how to apply the systems. When looking at the analytics this particular section has the greatest amount of viewership. This tells us that people are looking for information they can use and that will allow them to make a more objective evaluation of their next filter or air filtration purchase. Searching for and finding Pure Air Systems on the internet the first time and subsequent times is easy. Even if you don’t bookmark the site, and we recommend you do, coming back to us is simple…unlike two ships passing in the night. For more information on Pure Air Systems and its complete line of HEPA and Carbon based air filtration systems please go to our website at: www.pureairsystems.com or follow us on twitter @pureairsystems. You can also find us on Facebook and of course call us at anytime on our toll-free number at: 800-869-8025. If at first glance you think I misspelled the title of this blog and it should read “Sea Water” you are incorrect. This is about water in the form of water vapor or condensation that you often see on windows and where ever damp cold air comes in contact with a warm surface. When you “see” water condensing or water dripping from someplace it shouldn’t be you need to find out why. One of the most common places in a home to find water in the form of condensation in on single pane windows or on walls or surfaces that are inside barriers for outside walls. Condensation forms when the dew point is relatively high…say 60 to 70 degrees and there is a lot of humidity in the air. Since warm air holds moisture better than cold air the condensation issue is usually found in the summer months. Although it can also be an issue in the fall or spring of the year. One of the challenges with tight homes and office buildings is the limited amount of fresh, outside air that is introduced into the indoor environment. While constantly circulating the air with the HVAC fan systems does keep the air moving, it does little to keep the air from getting stagnant or reduce the indoor levels of CO2. Introducing outside air, even small amounts over time, can be significantly help the occupied areas. However, if the outside air is hot or cool and humid, then the condensation issue can be a problem again. Some of the newer variable speed drive, high efficiency HVAC systems incorporate a de-humidification function that allows the cooling coils in the air handler to get really cold during the AC cycle prior to turning on the air handler fan. This allows for more removal of the moisture that may be introduced as outside, fresh air through the HVAC unit. One of the main reasons for minimizing the amount of “indoor” moisture is to reduce or eliminate the potential for mold growth. There are two main “needs” for mold to grow. Water and a food source. Take away either one and you will significantly reduce the chances of mold growing in the indoor environment. So when you see water in the form of condensation on the windows in your home or office you can be fairly sure that there is moisture forming in other parts of the indoor structure. And….where there is water there is mold. Pure Air Systems has been making HEPA and Carbon based fan powered air filtration systems since 1985. These units can be attached to and HVAC system or used as stand-alone units in residential, commercial, institutional or industrial applications. For over 25 years PAS has used their units to introduce small amounts of outside air that is first past through the HEPA units then into the HVAC units. Since the PAS units are mixing small amounts of outside air (usually 50 to 80 CFM ) with large amounts of warm, unfiltered return air ( usually 300 to 800 CFM) there is little chance for moisture to occur. This process has been used thousands of times since we first introduced the systems and has been very effective at not only cleaning all the air in the homes up to 48 times a day, but provide for some fresh air without the potential for adding moisture or inviting mold growth indoors. For more information on the complete line of HEPA and Carbon based air filtration systems please go to our website at: www.pureairsystems.com. Or call us at: 800-869-8025. Remember when you first started to learn to write in cursive ( okay this is before texting) and you sometimes transposed a d for a b? When you did this it would sometimes look correct especially when combined with other words in the same sentence. Eventually you learned which letter format was correct and the d & b letters found their way into the correct word locations and you now know that each letter expressed a different meaning. This difference between these two letters is no better misunderstood than in the different meaning of the words Adsorb and Absorb. For most people the word Absorb is used in common language as in “this paper towel will absorb a lot of water before I need another one”. Or, ” this new Sham-Wow will absorb 10 times its’ weight in water”. So when we are using something that has the ability to pick up moisture (of any kind) like a sponge we use the word absorb or absorption (in this case the second b is replaced by a p….don’t ask me why…ask Daniel Webster). When we change the second letter in Absorb to a d… and make it Adsorb it modifies the meaning of the word but interestingly does not really change the process the word describes. Adsorb means the removal of odors and gases by the use of medium such as carbon or charcoal. Carbon, for example, will adsorb common gases such as formaldehyde or acetone. Much like a sponge absorbs water, carbon and other adsorptive media use a very porous surface area to attract and retain gaseous molecules until it is saturated and then release some of those molecules like a sponge releases some water once it is saturated. Carbon, and the other adsorptive medias such as potassium permangenate and specially treated carbon mediums, have been used for many years to aid in the removal or reduction of harmful gases and many household and industrial odors.